There’s something about hills that attract cyclists like wasps. And there’s something about Spain that does the same thing. To me, cycling is all about effort and reward, the balance of which makes a ride fun rather than simply hard work. Hills sum this up perfectly – they’re all about contrast and and pay offs. There’s the contrast between the speed of descending and the snail pace of going skywards; one so easy, the other a battle. Then those old stalwarts pleasure and pain are starkly prominent, somehow so closely entwined as to be virtually indistinguishable though frequently they reside at opposing sides of the spectrum. 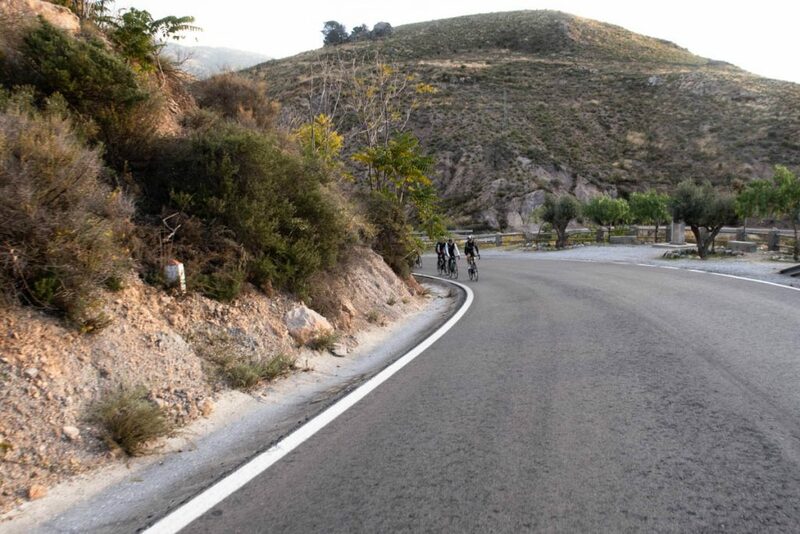 Hills are great leveller as they challenge everyone; you just ride them at your own pace. As I explained to a new cyclist as we climbed up a five kilometre stretch at an 8% average gradient, no one truly finds them easy. Hills always hurt as when you get fitter, you still tend to push yourself the same amount as you always have – you just ascend more quickly. Those guys at the front probably hurt the same amount as you do at the back and they’re most definitely as elated as you to arrive at the top. 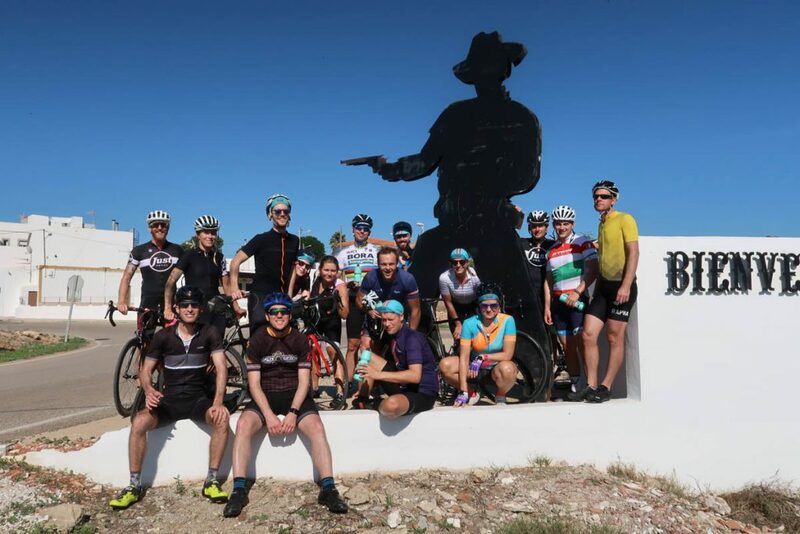 All of this partly explains a couple of weeks ago a very mixed group of us flew to Spain to attempt to climb 15,000 metres over three days and ride the highest road in Europe. We all wanted a tough and fun adventure that would test us and hills never fail on that account. We knew we wanted to pit ourselves against nature and gravity. But most of all, we wanted to raise money for Tribe Freedom Foundation and help victims of human trafficking. With several inexperienced cyclists amongst our group, the first day was always going to be a good way to suss out how much time we were going to need to complete our ride, how often we would stop and crucially, how early we needed to leave each day – no one wants to be in charge of a large group of riders after darkness falls, particularly when they’re going through the Parque National de Sierra Nevada. 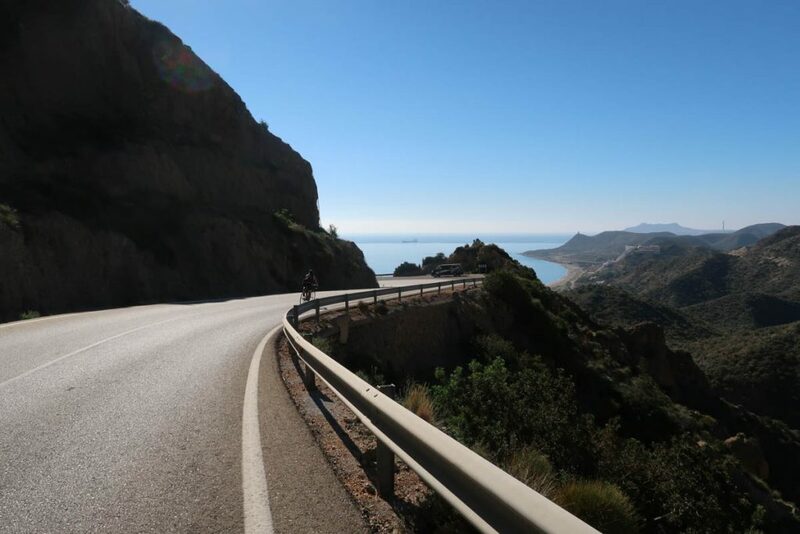 To be on the safe side, we rolled out as the sun rose leaving the resort of Aguilas behind as we headed along the Andulucian coast towards Mojacar. The roads were entirely deserted as we rode through the arid landscape along a pleasantly undulating road. The interior to our right was a jumble of rocks and small pointed hills covered in low lying shrubbery that gave them appearance of fuzzy felt toys. As we passed resorts of white, blocky buildings in peaceful bays, we wondered where on earth everyone was – the weather was fantastic and the temperature just perfect. 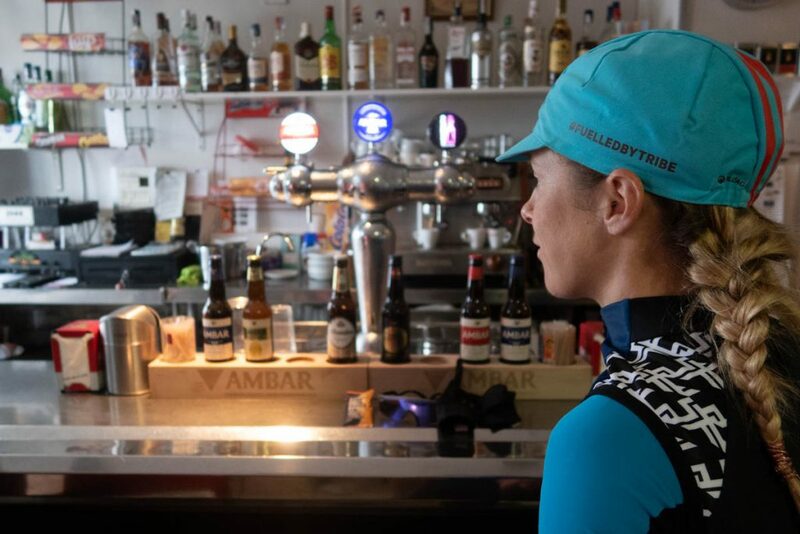 It felt like we’d been let into a closely guarded secret; that Andalucia is brilliant for cycling and you have it to yourself outside high season. 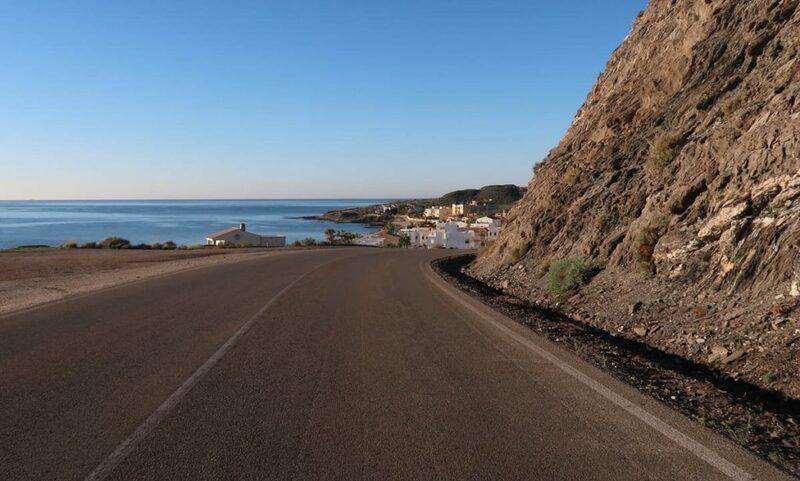 After lunch at the seaside – I don’t know how the Spanish make a plain omelette in bread with some tomato rubbed on it taste so good – we headed into the Parque National Cabo de Gata- Nijar, a volcanic area with a hot desert climate that makes for year round sunshine. Like the coast, the area was deserted, this time dotted with deserted goldmines and abandoned villages. The roads were pretty much ours and ours alone. 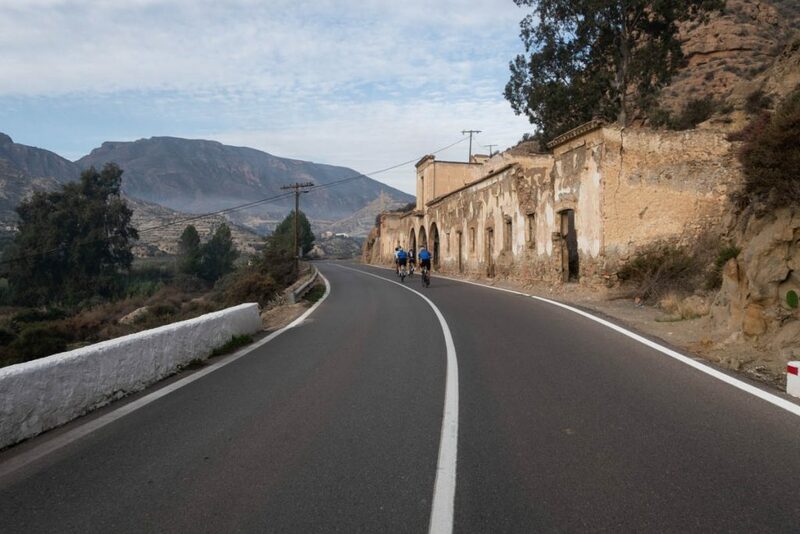 Our second day started with a tour of Algeria’s cycle paths before a 50km stretch that was pretty much all uphill. In the foothills of the Sierra Nevada mountain range it’s obvious why the region was the location for many of the ‘Spaghetti Western’ films, so called as so many were made by Italian directors, such as Sergio Leone. Vivid purple cactus fruit enlivened the otherwise sparse, dusty landscape. I enjoyed riding entirely alone for a stretch, feeling tiny in the vast openness as I settled into a steady rhythm and zoned out. I love the peacefulness of a good climb – going slow gets rid of wind noise and with constant pedalling there’s not even the sound of a freewheel. A falcon of some kind hovered to my left, scrutinising the sun bleached plains. About 100km in, after another decent climb we were looking forward to around 35km of descent, as promised by our guide. That actually turned out not to be the case – the very fun downhill segments were punctuated with sharp little climbs that tested the legs. 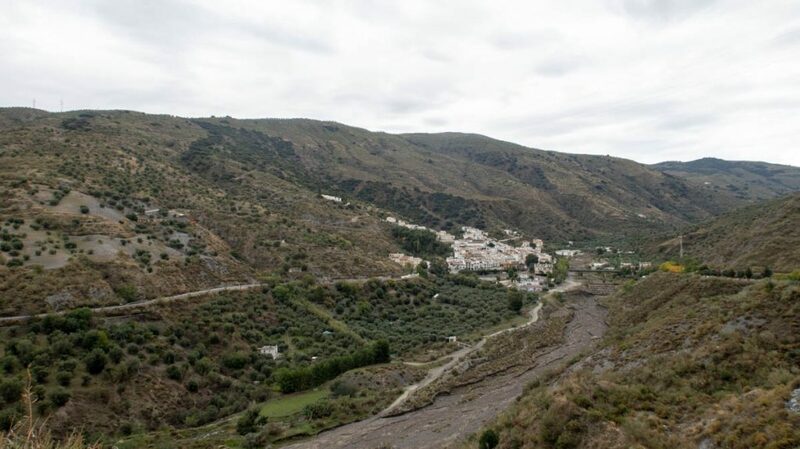 Still, the final section, from Cadia to Orgiva turned out to be the best and most attractive part of the day, something the organisers of the Vuelta must have thought too for we saw writing from this year’s edition on the road, albeit going in the opposite direction. The third and final day was the one that was really meant to test us. With two days of climbing already in our legs, 3500m more was going to be a challenge. We’d planned to ride all the way up to the summit of the Sierra Nevada, an epic ride that would take us on the highest road in Europe. We also planned to ride about 80km and take on 1800m of ascent just to get to the start of the climb to the summit. It turned out Mother Nature had other ideas, which was hugely disappointing as we wanted to succeed, not just for our own personal reasons but due to the fact we were fundraising for Tribe Freedom Foundation. 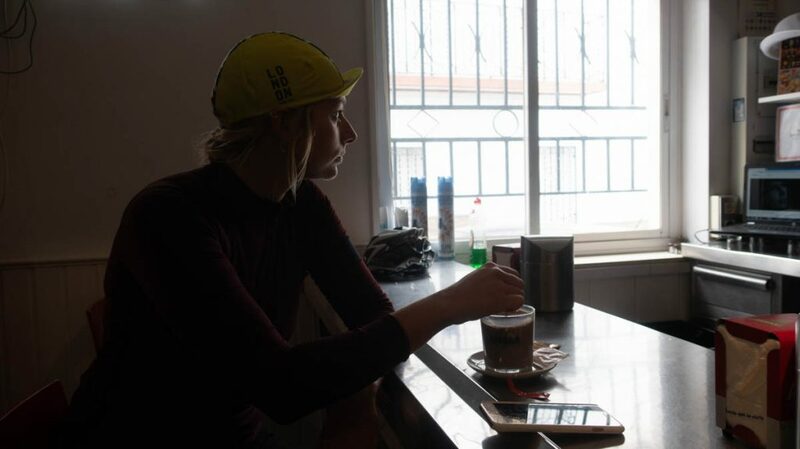 But with snow, gales and -6 degrees Celsius forecast we couldn’t risk riding to Sierra Nevada. The ride to Monachil was brilliant nonetheless. Another early start saw us climb from Orgiva as the sun rode behind the town to illuminate the perfect ribbon of road that hugged the hillside. After the pretty town of Lanjaron we made for Lake Beznarm, a huge reservoir ringed with hills before heading uphill again. An 18% climb halfway through the day felt cruel yet amusing for its ridiculousness and was followed by a lovely descent past vineyards. 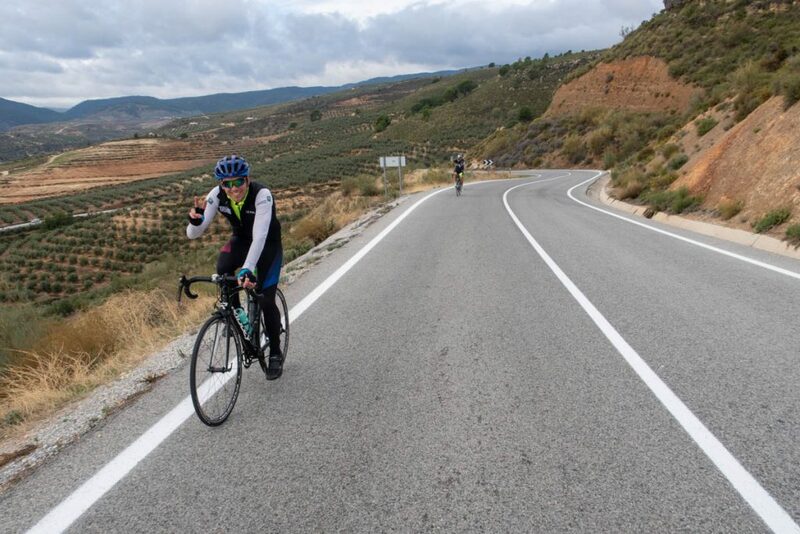 Wet through but happy, with heavy legs and sore shoulders, at Monachil we celebrated finishing the ride together with glasses of red and bread dipped in the finest olive oil… or at least it tasted as such after so many miles. Along with the company, the hills were what had made the ride special. Without them we wouldn’t have had such incredible views and so much time to enjoy our surroundings, so many fun descents or an excuse to carb-load each evening. Those hills brought pleasure, they brought pain and they brought us all together. And more importantly, they helped us raise over £10,000 for Tribe Freedom Foundation. Hey, great article, and inspiring photos. Giving me ideas for 2019! Really like the long form writing…..when’s the book out? -you should write one – really. Thanks Roger, nice to hear that you think it’s decent. Hey, girl! Loved the post. I just want to say that you are such an inspiration to me. 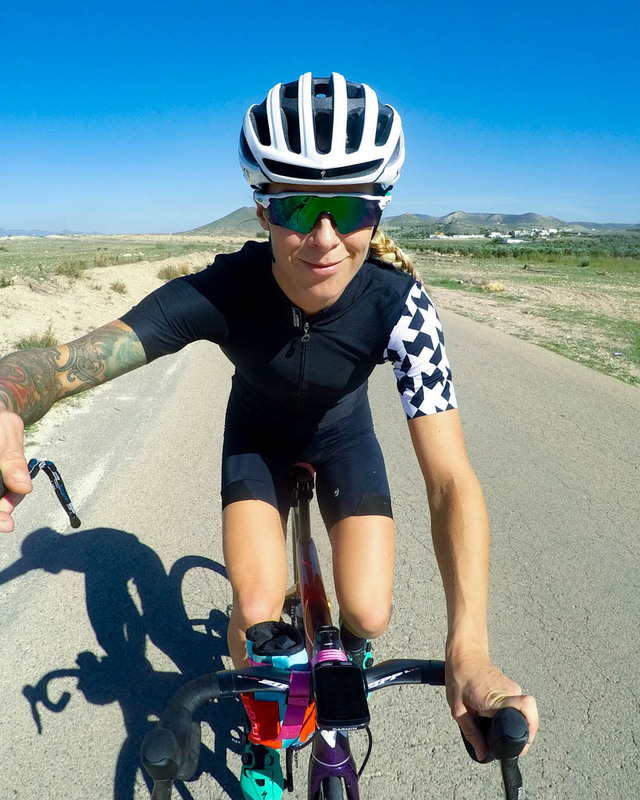 I started riding bikes when I was 17 and when I first read and watched your videos, I fell in love with cycling in a way that I cannot explain. Now I’m 21 and more crazy about bikes than ever before. Lots of love from Brazil! That’s SO nice to hear that I contributed to your love of bikes in some way. Stoked you found something you love. Bikes rule! Up Next. Fitness & FTP Tests | How and Why?